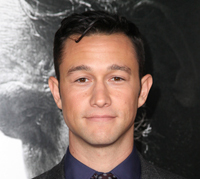 Dimension Films officially announced today that Joseph Gordon-Levitt is joining the all-star cast as one of the lead characters in the highly anticipated Sin City: A Dame to Kill For. Other major casting announcements will continue to follow. Sin City: A Dame to Kill For weaves together two of Frank Miller’s classic stories with new tales in which the town’s most hard boiled citizens cross paths with some of its more repulsive inhabitants. The ensemble includes already announced original cast members Academy Award nominee Mickey Rourke as “Marv,” Jessica Alba as “Nancy,” Rosario Dawson as “Gail,” and Jaime King as “Goldie/Wendy” with new cast members Dennis Haysbert as “Manute,” and Jamie Chung as “Miho.” Production is underway at Rodriguez’s Troublemaker Studios in Austin, Texas. The film will be released by Dimension Films in the US and Canada on October 4, 2013 and is produced by Rodriguez’s Quick Draw Productions, Aldamisa, AR Films, Miramax and Solipsist. Gordon-Levitt’s commitment to A Dame to Kill For also means that he definitely will not be appearing in Marvel Studios’ Guardians of the Galaxy, as was rumored last week.